Is Imran Khan politically doomed? Imran Khan was hospitalised after falling down from the stage in a rally in Lahore, just days before the polling on May 11, 2013. He hit TV screens again later in June. In his successive interviews, he emphasised on three points that became the agenda for his party post-2013 elections. One, the so called War on Terror is not our war. It is America’s war. We shall get out of it and the best way to do it is to bluntly say no to US and hold negotiations with the Taliban to end terrorism and bring peace in the country. Following the attack on Army Public School, though, he aligned himself with the forces fighting the Taliban. 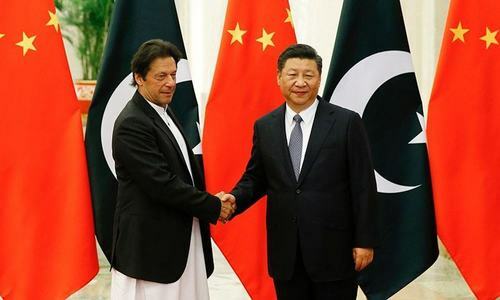 Two, Khan claimed that the elections were massively rigged but his party had opted not to come out on streets in protest – like the opposition did in 1977 – in the greater national interest, and insisted that a commission should investigate it. For four straight months, he crusaded for the cause of a 'fair and impartial' judicial commission conducting this investigation. Three, Imran’s vows about what his party’s government in Khyber Pakhtunkhwa planned to achieve. These were interspersed with lots of ‘Inshallahs’ (God willing) and promised to end corruption, bring transparency besides boasting of making other achievements like producing surplus electricity in 5-years times. In the year and a half since the elections, Khan has dithered between these three of his major takes, on screens and in streets, without achieving anything in real terms. His party can only assume that it has mobilised, made aware, politicised a section of the population but these will remain wishful suppositions unless they pass some real tests. The party has exhausted its agenda. It is now hardly left with an issue to politick around with. So, is the party over then? The PTI is too big to disappear into thin air. The party tally in terms of seats in the parliament is not impressive but still one shouldn’t forget that it polled a hefty 7.7 million votes to become the second most voted party in the country after the PML-N.
Add to this the fact that the party is the strongest in urban centres. Of Lahore metropolitan’s 13 National Assembly seats, the PTI was the winner on one and a runner up on 11. It was placed on third position on only one seat. Similarly, of Karachi’s 20 seats, the PTI contested 17 to come out the winner on one and runner up on 15 and on lower position on only one other seat. These numbers only speak of the electoral performance of the party. However, the political space within which it operates offers many more lucrative opportunities than the ones it has been able to capitalise. The polity in Punjab is too big not to have an opposition party. The province has around 500 national and provincial constituencies and there are at least three major and well-entrenched contenders of power in each. The PML-N has been able to mop up the lead contenders but it cannot simultaneously accommodate their competitors in the party ranks. They obviously have to find another platform to channelise their politics. The situation in Sindh is even worse from the point of view of ruling parties. Both the MQM in urban centres and the PPP in the rest of Sindh did maintain their positions in past elections but they both heavily suffer from incumbency fatigue. The electors are sick and tired of the same faces, using the same rhetoric about all too familiar matters. Anything new thus stands a hypothetical chance. The PTI’s support base has two clearly defined segments. One is the urban middle class youth beholden to Khan’s charisma, whatever that means, and the other is the crowd that is managed and delivered by the ‘electables’ or what I prefer to see as second and third level power contenders. They need access to state power to move up the class ladder and their patience has limits. Let’s not pretend. There are no party ideologies and no party loyalties anymore. Politics is not the struggle between haves and have-nots. It’s a game that the haves and the wannabes play. Two of the PTI’s support bases are many a times at cross purpose. Khan can probably bank on his charisma to keep the support of his awestruck urban fans in tact but the electables and the numbers they can churn out are a different ball game. What does Khan have to offer them? Hopes. Trading in hope is a risky business. 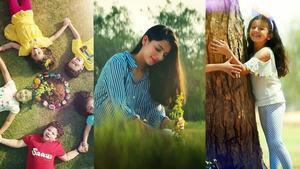 Explore: What is 'naya' in Naya Pakistan? Politics is a highly volatile market. Hope of a 'Naya Pakistan' may do the trick with urbanites but for the electables hope only means ‘power within sight’ and the distance between hope and power has to be measurable. Imran tried to hedge his bets by seeking 'the umpire’s' support during his recent adventure but it didn’t come through. No doubt that the umpire has been bankrolling movements and underwriting deals throughout our political history. But, for now, he may be too busy elsewhere and when he does emerge from the task at hand, the situation is likely to be different from what it is now. The joining of dissidents from other parties can help boost adrenaline levels of party supporters but these have a short half-life. More so because many of them carry baggage from their past and can easily become a liability instead of an asset. Imran has a massive ship to steer and the navigator is not working. He has to keep it afloat for a long time (read: three and half years until the next elections). He needs to find a way out sooner than later. One possibility could be to refresh the party’s mandate by holding local government elections in Khyber Pakhtunkhwa. If he wins he cannot only sail through safely but can also turn the heat on the ruling party and make life difficult for it. But for that he will have to first skilfully deal with his elected parliamentarians who will not be willing to share power with local government minions. The local elections are a risky gamble, as they might deepen and expose fissures within the party. More importantly, if the PTI loses these elections, its prospects in Punjab are sure to be botched beyond repair. Too many might opt to jump out of Khan’s rudderless ‘sinking’ ship then. So, will the Kaptaan throw the gauntlet? Would he rather wait in the dressing room for the umpire to call an off time-out and resume ‘the match’? InshAllah me & rest of my family will vote for his party in next election. He is not politically doomed and never will be, but we have to have a fair election.We have to give him a fair go, at least once. Long live Pakistan. Yes, politically he is dead due to his immaturity in this field. We wish this Govt should complete its term. @M. Saeed Awan who's we? You are so right. When was the last time we heard the PTI leaders talk about substantive policy issues. The judicial commission issue now sounds like a broken record. Policy statements have been replaced by simplistic populist announcements. Do we know what is PTI's position on agricultural tax, tax evasion, devolution of power to local government and very important the population explosion. As regards NS and his cronies, the more said the better but unfortunately the Khan and PTI have failed to prove themselves a credible alternative. Imran Khan is the only remaining hope in the land of the pure. He is only doomed if we as a nation are politically, socially and morally doomed. So it won't be his failure but rather a failure of us in keeping the status quo intact. The more this Govnt stays ion Power ,More people will look upon IK as only Hope. I see bright future. He is doomed, a cornered man . Don,t know. What to do, Not in parliament, not in streets, not in govt. No he is not, In sha Allah, he is our hope. It is Pakistanis who dont deserve him. He is trying his best but he is in wrong confused country. Just like before he will rise but the fact he's been quiet since dharna can be concerning. I agree with some of his critics that his party is not full of god given individuals and have disappointed us slightly when it comes to KPK . However its a factual to know Imran is not one of those typical politicians. IF we can select PMLN and PPP for twenty odd years i am sure we can afford to give PTI same time too. I also hope Mr Srawar joins PTI too. He is far better than PMLN/PPP. When the whole governmental apparatus is set against the righteous what hope does one hold for fair and level playing field!! Very informative and a good analysis. He is the only ray of hope Pakistan has and I am sure he will win all over the country, if the elections are fair, whenever they are held. May we see the naya Pakistan soon. Imran rules on our hearts. He would never be doomed there. Whenever he needs we will be out for him again. If we compare him to other leaders, then he is the best due to his untainted personality. Secondly his party when compared to others also has many similarities with them but still it is better then the rest of the lot. And as they say "Politics is about choosing the lesser evil" so keeping this phrase in mind, PTI seems the least evil in all. And besides N league and PPP have shown utter incompetence at all levels so instead of voting them, it is better to check a newcomer then being bitten by the same snakes again and again. Saeed i agree the government should die its natural death. IK is the ony hope to clean mess in Pakistani politics. He will win the next election if he stays firm on his views. @M. Saeed Awan His political immaturity is thousand times better than NS and AZ's 'mature' corrupt governance. I can read a lot of comments where people are emotionally declaring that we don't deserve IK etc. Please put a stop sign on this thinking. We deserve everything whixh is good for other human beings living in other and better countries. Leaders are not immortal and are not perfect too. Educate yourself and educate your children. That's how we can breed hundreds of leaders of IK's stature or even better if he is a standard for you. His doom will be the fall of the country. IK/PTI is the only ray of hope in this country. Imran has nothing to loose, he is one handsome 63,and have a beautiful and intelligent wife, billionaire kids and legacy of achievement which any pakistani can just dream of. So if he fails whose loss it would be. Sir, it would be loss of Pakistan. As we will loose a sincere and visionary leader. Further, his critics have never tried to understand imran, he is the person who will never accept defeat, and a person who does not understand themeaning of defeat then he will never fail. if, say, he fails, i am sure he will start all over again and will spend another 18 years with same vigor until he achieves his goal of "Naya pakistan" and I want to live to see that day when he will be taking oath as PM of Pakistan and walls of governor house will be being demolished. A lot of readers here actually support him and this scares me. IK is the only hope in view of dismal performance of both PMLN and PPP, who are apt at corrption, poor governance and non-delivery of their manifesto content. I think IK has been quiet recently because perhaps he is realizing that by shutting up for some time he can let the nation see for itself how competent the Sharif brothers really are. Its been 2 years and the electricity crisis has not been resolved (and resolution doesn't seem to be anywhere in sight). We still have gas problems and the recent oil crisis in the country gave another jolt to the current administration. So, all things considered Imran has a brighter future ahead of him given the constant failure of the PMLN govt. @Ominous Bonds: No. He failed us. "The PTI is too big to disappear into thin air.". No political party is too big to disappear e.g. the Congress Party in India or the Communist Party in Russia. I had once hoped that IK will be Pakistan's Modi and will unite Pakistan under the slogan of Progress. I foresee a Sharif victory in the 2018 Pak elections. That Sharif, however, will not be Nawaz but Raheel. I know it sounds odd but not unlikely. Our hero IK will loose his deposit against that Sharif. I will keep on voting for him until the day there is someone who is better than him. With all their short-comings and mistakes PTI is still way better than corrupt and incompetent PML-N and PPP. He had a very good momentum going but blew it because of his erratic behavior. Getting married 3 weeks after the APS tragedy has really scarred him. If his son would have died would he have gotten married? That also in the province he controls. His stance on the Taliban is flawed. He has no long term plan and how to fix the situation But yes he is probably the most honest of the lot but we need more in a leader right now than just that. @Wasiq Oh so true sir!! I have the exact same opinion. WE are doomed, not him. "Is Imran Khan politically doomed?" Happy to say resounding yes. @Anon Ik will InshAllah fail all corrupt people, politicians and systems. IK doesn't have the perfect political mind but he is sincere to Pakistan. I strongly believe IK will help Pakistan prosper because his determination is unmatachable. IK never gives up and his supporters shouldn't too. Like every other Pakistani I dream to see Pakistan prosper and strengthen. 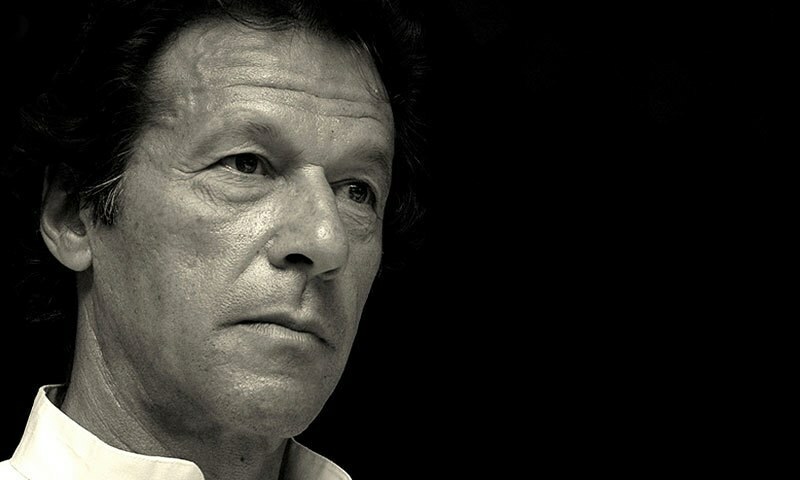 Despite all his shortcomings IK is the only political leader who gives me hope that this Pakistani dream can come true. I want that dream to stay alive, even if it is too naive or foolish. @Warlord , we are all the ifs and buts, you know what I mean. Give us fair and free elections and see who is doomed, you will be surprised. I only read,comment, participate because of hope of Imran Khan. If Imran Khan is doomed then Pakistan has a very bleak future !! I live abroad. Almost all the people I know are supportive of IK, so much so that many give monthly donations to his party - that's the minimum we could do. He is far better then Shariffs & Bhutto / Zadaris. I wish courageous Imran best of luck and would love to see him leading the nation and Islamic world. imran is sincere with the people of pakistan......we are all with him. Although there are some dangers, I just can't see how Imran is doomed. Just look at the alternatives!! Not Doomed, My family InshaAllah will vote for him in next election and why shouldn't we? He is far better than the other politicians we have. The characters he has surrounded himself with are the cause of his downfall. He should pick nonpolitical young progressive people who want to move this country forward. He should be visible in every corner of KP 24/7. I believe that is his province, to redeem himself for the next election . Do not know the answer to the question But for sure , he is Doomed as far as getting My One Vote is concerned , it Will never be Cast in his or his Party's candidate Ever . Will that make any difference ( like a drop in the sea type phenomenon ! ) , perhpas Not but another One joining me would make it a 100% better than mine alone !!!!! I don't know whether IK is politically doomed or not as the genius of this country can come up with all kinds of surprises but he sure is an immature politician. When a mediocre person like NS can become PM of Pakistan why can't an immature politician can? We thought Imran was the only hope but he is also a big disappointment even though he is honest and wishes well for the people. He is highly educated and you would think he would study and understand the terrorism issues in Pakistan better than others but he too is clueless on that subject. Sadly PTI will gradually disappear. @Imran Khakwani Sir please let him build a Naya KPK first. So far no improvement there.He should show his achievement there first then IF he is successful in improving lives of KPK people then we can praise him. He might be better but FAR better is a bit exaggeration. Let the democracy stabilize and we will have better options. Only hope for your country. Rest of the leadership belong in junk yard. We sure will sand by with IK under all conditions. My entire family will vote for PTI when the elections are held in Pakistan. LONG LIVE PAKISTAN & LONG LIVE IMRAN KHAN. @AHMED you wouldn't want to bet on it, Ahmed? Would you? Please read my comments and rationale. Imran will reamin a rable rouser and trouble maker but he is POLITICALLY DEAD. I am not an enthusiastic supporter of PTI, but given the incompetence shown by PMLN and PPP my vote will go to PTI, just in a far flung hope given the shenanigans of PTI in the past 2 years, that they will be to some extent different. @Faraz When you compare him to Zeros like PML and PPP; that ain't saying much. Imran and the PTI need to focus on corruption and bad governance and nothing else .....if they are to regain their lost standing. The thing still going in their favour is....If not Imran, then who ?.....Nawaz ...Zardari ? Imran Khan must learn that politics is the art of the possible......his mistake was to think that he could do the impossible. @M. Saeed Awan The economy is failing, there is no electricity, no gas, no water, no jobs, no prestige for Pakistan overseas, no prospects for our youth, no healthcare for majority of population, no free education for the masses, and YOU wish this corrupt government to complete its stolen mandate term??? @Anon and why is that? is it because he is the only leader who is not corrupt? Read the comment again. He means we the people of Pakistan. He actually failed who voted for him and I am not one of them. I never voted for him and doubt if ever will. I think if Musharaf is cleared from the political motivated cases. He would easily win. The political parties fear him more than IK. As for Imran Khan, I think I like he's immaturity. It's a breath of fresh air in the midst of shrewd corrupt mature politicians. I didn't like him before, I thought he only wanted attention. But now, he has matured and I think he will keep maturing into a wise politician. He is not politically doomed! they cant hold him back for long by crook tactics, people want him and truth will prevails. He shifts his position overnight.Since the promised change has come, now one can trace him in the bowlers list. He is not. If I see anyone's doom nearing, it's PMLN. Kaptaan all the way!!! Good analysis. PTI and IK are doomed politically as they are not politicians. In Karachi the get the anti MQM vote. PTI's vote bank is the liberal upper middle class, but PTI aligns itself with the right wing fundamentalists, an alliance with JI being a good example of this. At the end of the day if they do not choose sides, they will lose one or the other of their support groups. Imran has raised false hopes specially with his slogan of Naya Pakistan and made people fool. Its all about power, a will to power but this time in a apparently nice and attractive dress. @Imran Khakwani Such moronic comment. This is why Pakistan is where it is now. Wake up! @Zille What does "highly educated" mean here? I don't like Imran Khan as a politician, but remember that the professionals built the titanic, and amateurs built the arc. I hope IK is really politically doomed. This is good for Pakistan. @Faisal lol yeh exactly.. he must be colluding with the PMLN! Bring back Musharraf. He was the best of the lot. @M. Saeed Awan what you talkin about,he is a oldest teenager in Pakistani politics. I think he is more of a Social Worker than a Politician, his heart rules his head. I like him, he is honest but am not sure if he is a centre stage material. We all make mistakes, but I think he has made just a few too many. He was entrusted to look after a baby (KP), it appears he didn't make a good job of it. Instead of spending time with his little one (KP) he chose to spend it doing other things (agitating). Its sad he strayed a bit. But all is not lost yet, he can still serve his country, with a little bit of change in tact and character and the willingness to forgive and forget live and let live, and by joining hands with other honest politicians, there seems to be just two others in sight in Pakistan at the moment, who knows the three toghether could change the course of history. He is one of the biggest beneficiary of corrupt Pakistani system. Fresh Blood and 63 years OLD !!! My dear Pakistanis, please get rid of PML(N), get rid of PPP(Bhutto/Zardari), who have created nothing but an in-just society....please vote for alternative, be it be PTI or independents. He started from making "NAYYA PAKISTAN". Later get defensive and limited it to "NAYYA KPK ", failed in making "NAYYA PESHAWAR". All we got is "NAYYA BANI GALA". "Wayaaaa wayaaa"
Any Pakistani leader who says “the so called War on Terror is not our war. It is America’s war. “ is not the right person to lead Pakistan. Let us examine what is the greatest threat to Pakistan. Not poverty, unemployment, shortage of electricity, lack of health care. lack of fare election, money laundering and you can name 100 evils. However the fact is that the greatest threat to Pakistan is militancy and terrorism by those who wish to impose their version of Islam on throats of 180 Million Pakistanis and take control of Pakistan. How this can be a war of America and not a war of Pakistan? This is definitely not a time to settle disputes about vote rigging or political feuds. It is time for survival of Pakistanis and not for competing for Prime Minister-ship. It is time to support Military, Armed Forces, Rangers and Police in fight against all militants and terrorists in Pakistan until the Pakistan is completely free from militancy and terrorism. This requires all political leaders to unite and concentrate on “War on Terror”. @Warlord We are common Pakistani's who are fed up with corrupt politicians, judges and generals. no imrankhan is not politially doomed - he shall be interim pm soon via national assembly - thats why he has shown to have got married - even though marriage of onveniene- he went for umrah - for photoshoot - and to plead with new saudie king to allow imrankhan as pm- imrankhan has never kept rozas -- he has paid all his electriity bills ..stopeed his dharnas - he is putting on his best behaviour-- he is making the right noises .. watch ..
Imran Khan is the Future Leader of Pakistan. Inshallah! if free and fair elections r held tomorrow ,IK is going to sweep the election. if he is doomed then i would say other parties have been decayed and rotten . An excellent and impartial analysis. He is not a leader of any caliber, yes he is biggest beneficiary of the corrupt system. The man who can go back on his words is not even a gentleman. He has never made it clear what is his agenda. Is he a good speaker- no. He would only manage no to let this government work by trying to destabilize the present set up and drag them backward as much as he can. Yes the the disappointed people has been disillusioned and they want to pin some hope on some body. How wrong he was to tell the people Afghan war is not our war forgetting that enemy of your enemy is your friend Where he stands now. Is his dancing CM not responsible for the life of our masoom children of Peshawar?Is he not responsible for run away of 250 terrorists from DIKHAN jAIL? Let us hope this government can manage to make some achievements on our major problems during their remaining period and PTI gets some maturity. He is not interested in Pakistan. He is more interested in his personal life, Marriage and now will be his new kids with new wife. better go back as commentator in cricket and leave Pakistan alone. He also supports Taliban. What a man? @Imran Khakwani Why not the walls of KPK CM house have yet been demolished sir. Please stop living in fool's paradise. IK is just an ordinary politician of the current lot. @Patriot Nawaz Sharif has not disappointed us at all. His performance is excellent. The way he stopped the increasing price of dollar and the way he decreased the petrol prices is exemplary in Pakistan's history. Yet biased people cannot see freely. @Qazi Zarak InshaAllah PtI will again win next election. I don't know if Imran Khan is doomed or not but the status quo parties are certainly doomed for sure. They are miserably failing and causing people to suffer more and more by the day. Top 18 out of 20 doctors tell Imran Khan that Cancer Hospital in not possible in a developing county like Pakistan, and he proves them wrong in their fiel i.e Medical. He will again proves you wrong too. Always vote for Imran Khan. Imran Khan's political career is not doomed. He simply has to be more realistic about his goals. Politics consists of drawing room and backroom deals, not flights of fancy. People love sporting heroes. They do love politicians. He does not seem to have made that transformation. Political workers need jobs and political backers need money, not inspiration. The cheers of the crown are intoxicating, but in the end we are left only with our memories when day is done. As Major Hogan recalled in Sharpe's Rifles, "I have drunk of the cup." I will support IK until my last breath. You know why? Because he's the only one who cares for the people. Forget the so called "immature" things he has done, at least he is not corrupt. At least he is not looting the people of Pakistan. All his life, he is helping the people of Pakistan. No matter how many "immature" decisions he takes, I will always support him because he wants to help this country. @Life one logical comment our of many... Agreed! @Life: One logical comment out of many sentimental one ... Agreed ! Instead of all these shortcomings, there is still a ray of hope. Only IK can turn this hope into reality. Looking back and learning from your mistakes is never too late. If he recognizes his street power and give fresh blood to his party by throwing out old figures which are hovering around him in greed of power, only than he can escalate to glory that he and his nation is dreaming! If maturity results in petrol, electricity and gas crisis then I would vote for an immature Politician and political party any time of a day. What have I got to loose from here. Let the NS carry on, he is doing more to increase Imrans support than any dhrana could. NS could stop being corrupt but cannot stop being stupid. This is quite before tsunami . Sure it will come . No matter how we think...these two parties of Zaradari and NS/SS are doing nothing to let people vote them again...and there is no option left but Imran Khan. At least the man is clean, his intentions are clear, and he is not dirty as others are!!! IK is a true champion, a man hard to beat and hard to defeat. His will power, his perseverance, his stamina, his patience is immense. He is a very honest person and hope for millions of Pakistanis who have waited too long for his homecoming. He is a true rising start of Pakistani politics. Zardari and nawaz shareefs are thieves when compared to IK. How on earth can someone be doomed for sticking up to the Mafia and corrupt system. The man had stood up to moral principles and in eyes of the most, he is an honest and only true leader that can get us out of this status qua politics that has held this country hostage for last 30 years or so. Lets be practical about his main point of contention, which is 2013 rigged elections. This argument is supported by ALL the leading political parties, but, yet NO one wishes to challenge this fundamental right that has been taken away from the people's mandate. The initial information coming out from the 4-off constituencies does support his argument and has not be helped by the fact that after almost two years, the Election Commission not been able to resolve the claims outlined by PTI. As one of the readers outlined below, Imran is only doomed if we as a nation accept that we are doomed and accept that there is no justice and accountability for the peoples stolen mandate. For this reason alone, the nation should support Imran, because if we can not address this important issue, how can we move forward? I was strong supporter of PTI/Imran khan but since last few months, it was such a hilarious attitude showed by Imran khan regarding Dharna Politics. its so true if he would have performed & delivered in KPK, other parties would have died with their own. Honest person has no future within our society, he needs to be more opportunist, less honest, toe the military line, build an empire with the tax payers money and bend over for USA. We do not deserve an honest leader or honest leaders to lead us, as we are brought up on twisted values and principles, do not follow the teachings of Islam as they should be followed and most of us are corrupt to the core. These were interspersed with lots of ‘Inshallahs’ (God willing)-This is the master stroke. It has become a fashion for Muslims in non-middle east countries to use Inshallah to show one's piousness while actions are 360 degree opposite. Taking Providence Name in vain. These days and in coming future, only that man will climb the ranks who can take principle stand for his fellow country men. I don't see IK around when there are terrorist attacks. I guess people like Jibran Nasir have a bright future instead. People will sure like to see him steer this country as he takes his stand without any fear or favour, and sticks to it till the end. Ik is our next PM.InshAllah. Media is obsessed with imramkhan as for some hidden reason and consider his rights as wrong as well.Thus government is bound to perform and brought down petrol.prices because of true opposition from home and Pti. Not like friendly opposition when Pppp was looting and plundering national wealth and recourses. With an ineffective and incompetent PMLN govt both in the centre and Punjab and moribund PPP, let no Tahir Mehdi tell you otherwise; Khan is here and very much alive. I never liked Imran Khan. But now he really is the last hope for Pakistan. All others tried and tested. We need him now more than ever. How is he doomed? If people like Nawaz, Shahbaz, Zaradri are politically strong, some more than the other, ins spite of all of their corruptions, mismanagement,etc., then how can the author say that IK is doomed? Please revisit your editorials before publishing them. Imran Khan has disappointed from his performance inside and outside Parliament. He has not been able to come up to expectations of people. But what saves him from doom is the incompetence of government. Considering the nepotism, corruption and laziness of current government, IK's politics is very much alive. In fact, he is only hope if PML N govt remains failed even on the completion of his term. So well said and written. Imran khan has made some horrible decisions and no he definitely is not going to get my vote next time. Born to be hero. A great leader. No matter what happens, we think, he will be standing for Pakistan. A true leader. He is a hero born once in a century. Tahir's assessment of PTI-Imran's political future has been made objectively and without prejudice.It is truly amazing to learn that IK's Islamabad yatra was supported by 68 goods trucks carrying public address equipment.It is apparently a very gimmicky way of mobilising the youth.This musically energised youth base might become more realistic and change its preferences by the time the next general elections are held.Another interesting conundrum that Tahir might like to explain is the silence and apparent complicity of PTI and other civil/moral rightist in allowing PPP and associates to govern for their full term.Is PML(N) actually so vile that it must be thrown out prematurely? Dear brothers and sisters.....At the end of the day he is trying to do something good for his Country. Good people need to be supported. Keep it in mind and decide whom to vote. @DP If centre govt fall, Sindh govt will also fall with it. Well so far in the past 19 years in politics after the 126 days of DHARNA in Islamabad, he actually got socially GROOMED, Imran says will never accept defeat-------- having seen Imran Khan case against the NA speaker, and Faisal Abidi MQM against ex Chief Justice, one can only wish if they were more educated legally or law they would have a better case but as they are they can make all explanations to the media and no real case ---- may be they are heading to be politically doomed. Imran Khan is a patriot in the truest words. He is not a politician, especially in a place like Pakistan, where feudal politics still reigns supreme. He would have been better being someone like Gandhi, who challenged the leaders from the spiritual and moral side instead of entering politics and getting dirt on his clean image. It's a loos for Pakistan to see a good person wasted by politics. As long as he is trying and he is not bowled out so the game is on. BTW the power of dua'as is amazing and who do you have in Pakistan to rule it? Dead and done ! He was a cricketing hero, never was a politician; and that's is exactly what he does - lives in the past and sleeps with the fairies ! I believe IK is not politically doomed under the current environment in the country. He has promised to the poor people free education, free medical care and utilities at half price. His statements remind me of late Z A Bhutto who promised Roti, Kpra and Makan for every citizen of the country but could fulfill his promised after he was elected. The question is how he going to pay for all these social programs when country's tax base is very low.How he is going to get billions of dollars a year to accommodate the masses?. The answer is he can't.. Since there are millions of illiterate people who support him because they are frustrated with the current system..There is a strong possibility that his party will win enough votes in National Assembly to put him on the top in the next election but people will turn against him quickly when their hopes are dashed..Honesty is not going to help him to improve the condition of poor people who are drowning and think that a floating straw.will save them. @Mehmana : It is not the country that is wrong - it is Imran Khan that is wrong. The more he speaks the more he is doomed. The less Nawaz Sharef speaks, the better for his party and the worse for Imran Khan. @Fiz Imran Khan is certainly no genius but yes, he IS an immature politician. @Vijay He is not doing anything that is good for the country - what he is doing is really just bad for the country. He does only what HE thinks is right which may not be true at all. If he is doomed then Pakistan is doomed. Pakistan needs honest and patriotic leadership. IK needs to refocus and stay away from the fold of JI and sycophants. Unfortunately his supporters have actually led to his early and premature exit. I voted for him in the National Assembly but in the provincial assembly i did not as his candidate was a goon with a horrible past. I am also not sure that if he realizes that his party never really fielded 11 players i.e. no candidates in all the constituencies. He has already wasted two years to identify suitable candidates for all the constituencies again. Sad days really. Hopeless electorates need messaiahs. When they are none around, the invent messaiahs. Imran, thanks to megalomania, fancies himself to be one. But his narcism, lack of perseverance and application has made him ineffectual. It is a matter of time that he will be consigned to history.